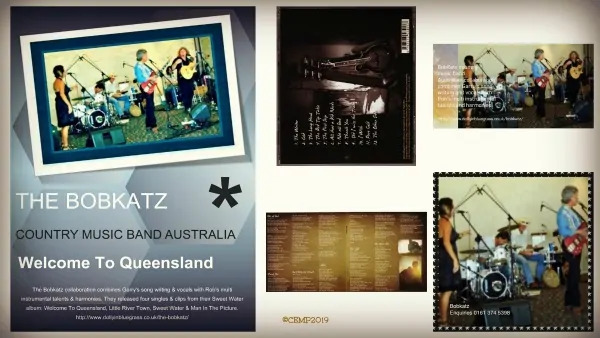 The BobKatz country music band Australian collaboration combines Garry’s song writing and vocals with Rob’s multi instrumental talents and harmonies. They released four singles and clips from their Sweet Water album: Welcome To Queensland, Little River Town, Sweet Water and Man In The Picture. Touring is kept to a minimum for the guys due to writing, recording and travel commitments. If you’re a fan of Australian country music and it’s country music artistes this band will be high on your list. Australian Country Rock. Australian country music is a part of the music of Australia. There is a broad range of styles, from bluegrass, to yodelling to folk to the more popular. The genre has been influenced by Celtic and English folk music, the Australian bush ballad tradition, as well as by popular American country music. Themes include: outback life, the lives of stockmen, truckers and outlaws, songs of romance and of political protest; and songs about the “beauty and the terror” of the Australian bush. Early pioneers included Slim Dusty, Smoky Dawson (MBE), (OAM), Tex Morton and Buddy Williams all members of the Australasian Roll Of Renown. The style of Australian country music evolved under the influence of rock and roll forms. While some subject matter may be constant, musical styles differ between traditional and contemporary bush ballads. 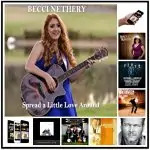 Check out this Australian Country Music Duo on Mixcloud. Click the link – Listen and share. The distinctive themes and origins of Australia’s bush music can be traced to the songs sung by the convicts who were sent to Australia during the early period of the British colonisation, beginning in 1788. (Wikipedia). Contact us if you’d like to book this country music band.